Ancient people have watched the sky since the beginning of time and many cultures established myths and legends associated with the celestial bodies they observe in the night sky. Still, our understanding of meteors was rather primitive when the 1833 Leonid Meteor Storm occurred in North America. This unusually bright and plentiful meteor shower left most of the people in the United States -- from white European settlers to African slaves, to Native Americans – quaking in fear, certain that they were experiencing the end of time. Only one Native American tribe, the Pawnees, not only predicted the meteor shower, but they celebrated it. The Leonid Meteor Shower happens annually, in mid-November. The shower of falling stars is created by space debris from the Tempel-Tuttle comet that strikes the Earth’s atmosphere. But every 33 years, the Leonids storm…the comet’s orbit takes it closer to Earth and, therefore, spawns many more meteors. 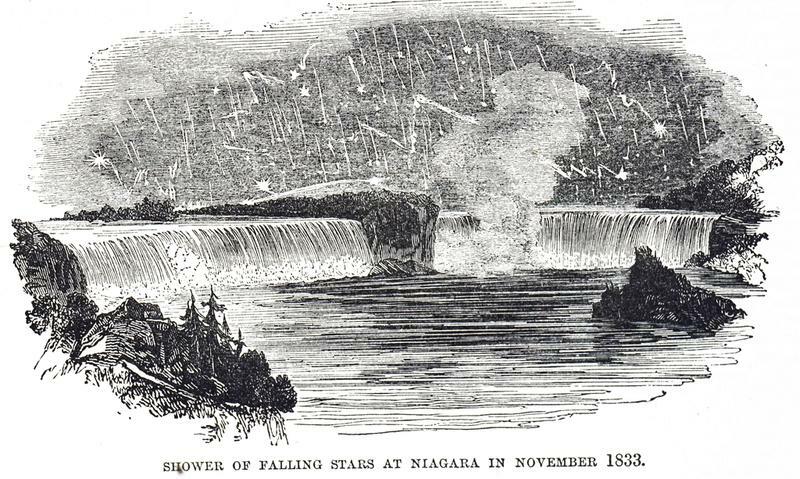 1833 fell on that 33-year cycle when the meteor shower stormed. While many cultures observed the annual meteor shower and could predict its arrival from year to year, the Pawnee Indians of the American Plains were one of the only groups of people that knew about the 33-year cycle of the comet. Using their Star Charts, the Pawnee, dubbed the Star Watchers, knew the 1833 Leonids would be special and they awaited their arrival. 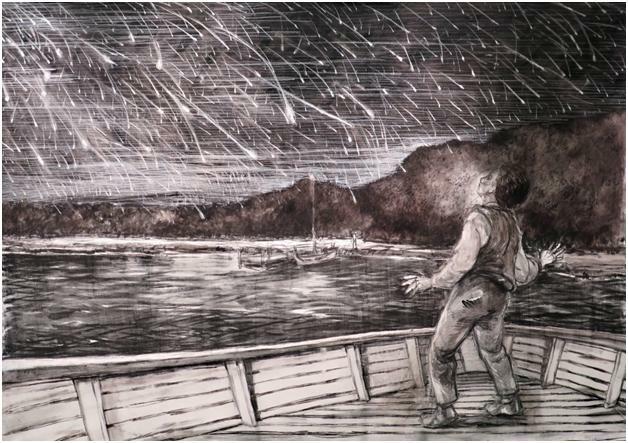 The 1833 Leonid Meteor Storm was awesome and frightening. Clear skies across much of the country on November 11 meant that most people had a great view of the light display in the night sky. Hundreds of thousands of meteors could be seen every hour! As amazing as this must have been, it also struck fear into the hearts of the people. There was panic in the streets. People crowded into the churches to pray. Mothers clung to their children. Most truly thought the sky was falling and that the end of days was upon them. Newspaper reports of the time, accompanied by drawings or woodcarvings, all reported on the apocalyptic event. Most people assumed that the fireballs in the sky were reaching the Earth, probably nearby, and incinerating everything in its path. In reality, the meteors burned up in the atmosphere. Native to Oklahoma and surrounding areas, the Pawnee people had plenty of wide open space from which to observe the sky. They believed that their ancestors were born in the stars and nearly all of their gods and myths centered around the stars, including their creationist myth. Tirawa, the principal god of the Pawnee mythology, controlled the movement of the stars and created the Path of the Departed Spirits, which we call the Milky Way. The Red Morning Star and the Evening Star were especially important. 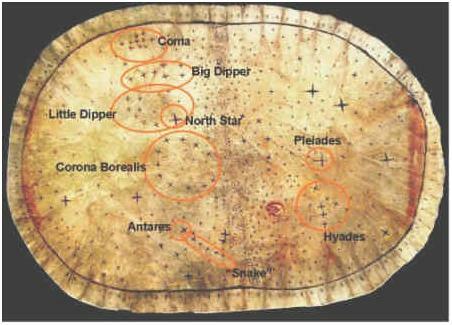 They created star charts, often on buckskin, that documented the placement of the stars and even arranged the structures in their villages to align with the stars. The stars were vital to the Pawnee way of life and served at their way of marking the passing of time. They looked to the stars to tell them when to plant and harvest their crops and when to host significant ceremonies and rituals. Their detailed observations of the stars helped them create a star calendar that was surprisingly sophisticated and accurate. Their star charts recorded not only the movement of stars but showed that the Pawnee astronomers were knowledgeable about comets, meteorites, and five of the planets in the solar system. Oddly missing from the Pawnee star charts are observations about the moon and the sun. While most cultures place some importance on the phases of the moon and the movement of the sun, the Pawnees were more focused on the stars. 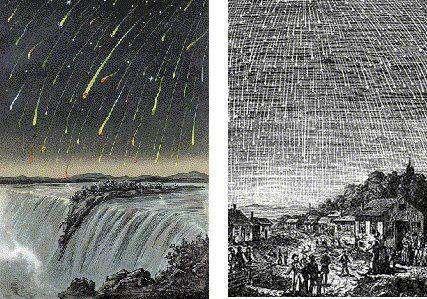 Old woodcuts depicting the 1833 Leonid meteor storm. 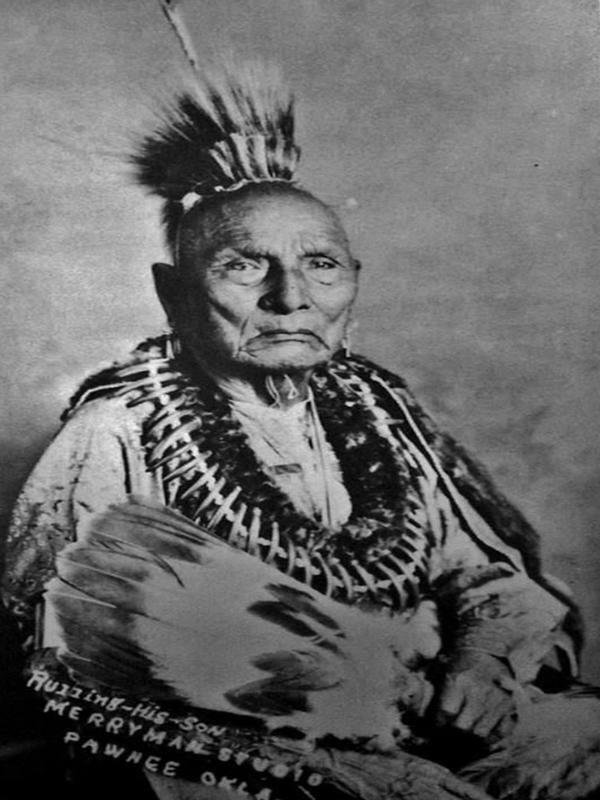 One Pawnee folktale tells of a warrior named Pahokatawa, who was killed by his enemies who then fed his remains to wild animals. The gods took him into the sky and restored his life. Pahokatawa fell back to Earth in a meteorite. He told his village that whenever they saw meteors, it was a happy omen that meant the gods were pleased with them. So accomplished were the Pawnee star watchers, that they tribe knew when annual meteor showers would occur, and even planned special ceremonies to coincide with them. They may have even known that the 1833 Leonid Meteor Storm would be a spectacular one. The Pawnee chief told their people “remember the words of Pahokatawa.” While the world around them was panicking about the 1833 Leonid Storm, the Pawnees remained calm. They observed the event and recorded in it their star observations as the Year the Stars Fell.